We make a memoir as we make a movie. 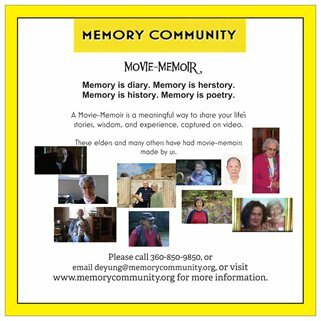 Our movie-memoir owners get sight and sound. They get image and voice, other than just written words on paper. 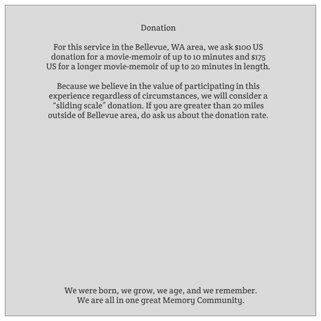 The contribution for a movie-memoir is impressively affordable for our clients. Check our Swell Service and Fun Funding pages for details.